The week is already over half complete and I have left you without a recipe so far. For that I apologize. But the holidays were busy and took their toll, as I’m sure that you can all relate. The beauty and cherished aspect of the holidays wrapping up for me though is not about individual recipes, but rather leftovers and remaining ingredients. So for the remainder of this week, I want to leave you with encouragement and support that you’ll hopefully carry with you to the kitchen. Stepping into the kitchen to prepare an appreciated and sought after meal can be intimidating enough by itself. But opening the refrigerator the next day to containers of leftovers and a diminished desire to eat last night’s identical meal can be just as discouraging. So why not start fresh by using leftovers and random ingredients, but in a new way? What I’m referring to is improvisation in the kitchen. Recipes are great for building confidence in your skills and palate. The downside is that they sometimes leave behind unfamiliar ingredients or excess portions. The upside though, is that they are also a wonderful basis and foundation for inspiration. Experimenting with flavors and ingredients can be scary, but muster some courage and toss together things that would typically make you scratch your head. You may be surprised by the flavorful concoctions you end up with. Let me provide you a couple examples for motivation. – Leftover Christmas Eve steak and mashed sweet potatoes, along with pesto aioli from artichokes, turned into steak sandwiches with a thin layer of potatoes as a base and the aioli as a condiment, topped with mixed greens. – Extra Thanksgiving turkey, leftover rutabaga and a random can of baked beans, was transformed into a tasty chili/stew of sorts. 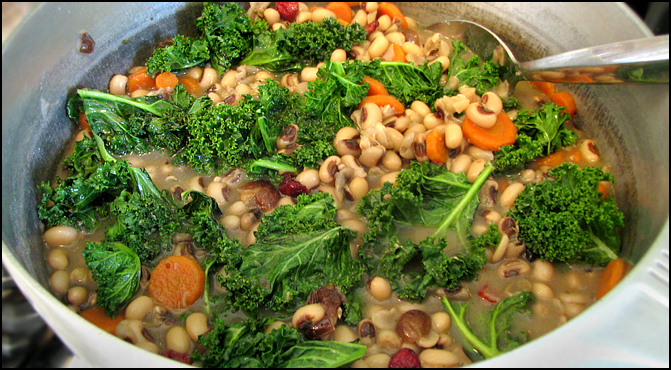 – A surplus of carrots and cranberries added sweetness, color and substance to our vegetarian black eyed peas for New Year’s day. – Hunting for the right seasonings for our chicken, I discovered an excess of walnuts, pecans, and a fennel/tarragon powder I made last week. Ground together with a couple other spices and we ended up with a great breading. 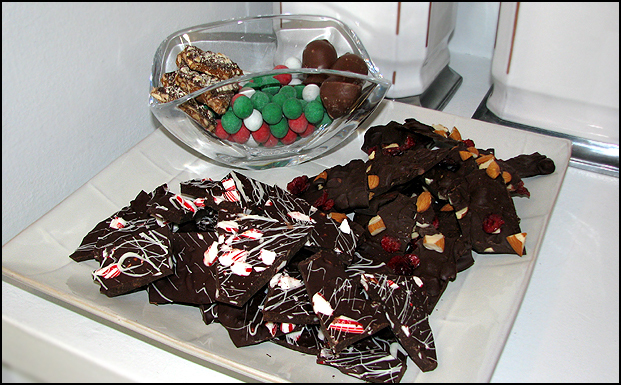 – It could also be as simple as presenting items in a new way or grouping them together to contrast textures and flavors like our abundance of gifted holiday candy during New Year’s Day. The point is, don’t be afraid of the kitchen. Jump in there with a loved one or friend and have fun with the experience. If your attempt at unique seasoning, revitalized leftovers or new cooking techniques doesn’t yield a meal you enjoy, at least you’ll have a good time. Besides, pizza delivers in 30 minutes and can redeem any botched culinary mishap. 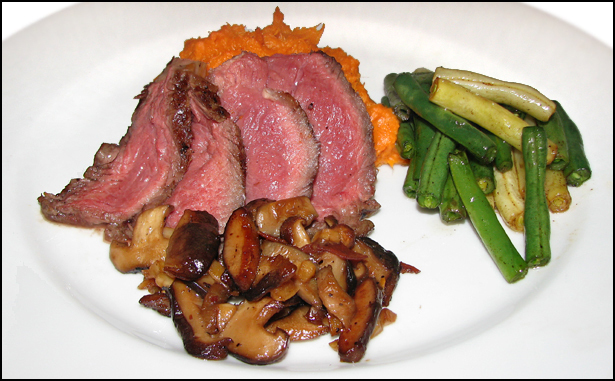 Gallery | This entry was posted in Food Adventures and tagged Ingredients, Leftovers, Recipes. Bookmark the permalink. Very creative and motivational. I don’t know that I am afraid so much of the kitchen, its whats in there and what do I do with all of it? As I’ve enjoyed your articles and recipes I have also realized that extra room (the kitchen) that came with the house when purchased isn’t as scarey as days gone by and I have actually ventured in thinking Hey I can do this.